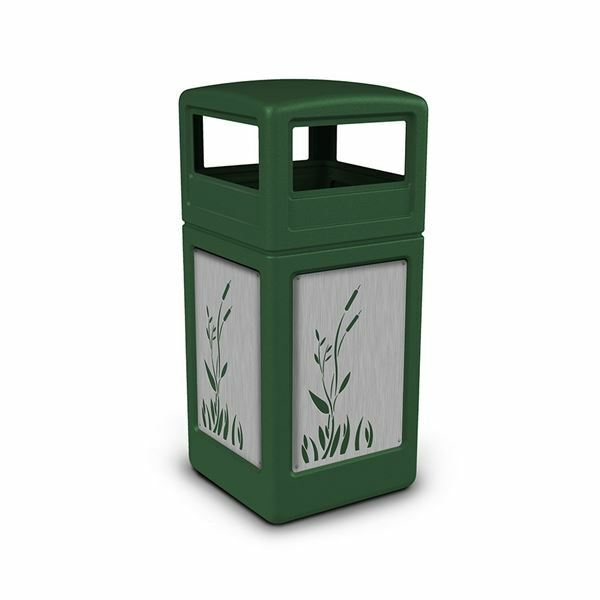 The Commercial Zone 42 Gallon Dome Top Plastic Trash Receptacle with Decorative Stainless Steel Panels provides a unique style to any poolside community, hotel or resort while also keeping it free of unwanted waste. This receptacle is molded out of commercial grade high-density polyethylene, perfect for pool decks as it is at no risk of corrosion, unlike other steel based receptacles. For a unique style stainless steel panels are found on all 4 sides and feature your choice of 4 designs; Reeds, Cattails, Intermingle and Horizontal lines. A 4 sided dome top is included for easy trash disposal keeping your poolside area cleaner. Choose from 3 separate color options to best suit your locations visual style. 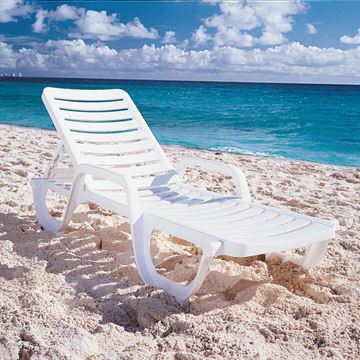 This product is made in the USA and covered by a 1-year commercial warranty. • Dimension: L 18" x W 18" x H 41.75"